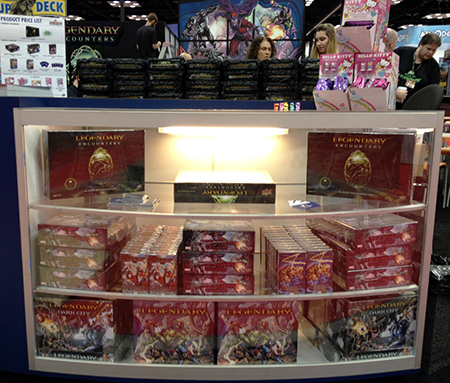 Upper Deck Brings the Company’s 25th Anniversary Celebration to Gen Con Indy with a Variety of Promotions This Week! When we first shared our plans for Upper Deck’s 25th Anniversary celebration, we pledged to have a big impact at shows like the National Sports Collectors Convention and Gen Con Indy. Starting today gamers will feel the love as Upper Deck goes all out to provide a variety of compelling consumer-focused activations at the company’s corporate booth (#1207) for Gen Con Indy. 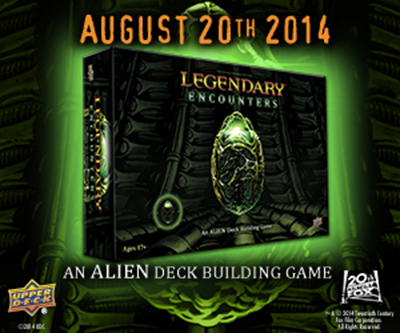 What fans seem to be most excited about is the new Legendary™ Encounters: An Alien™ Deck Building Game. Upper Deck will be offering the product on presale there before fans can get it in stores for just $60 and we will be hosting demos of the game all weekend long for fans to give it a try. 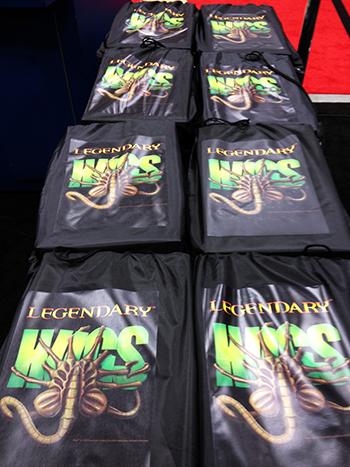 Fans who score the Legendary Encounters game can also score a FREE Alien™ “Legendary Hugs” slingpack! 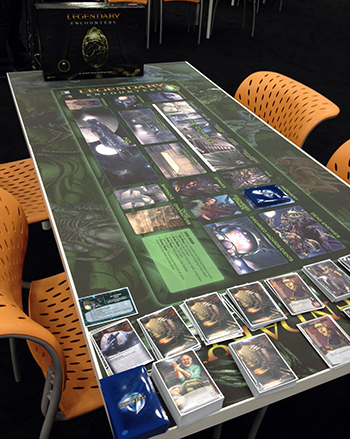 Fans can experience Legendary™ Encounters: An Alien™ Deck Building Game before anyone else this week at Gen Con! Staff will be running demos of the game for fans to experience it live! 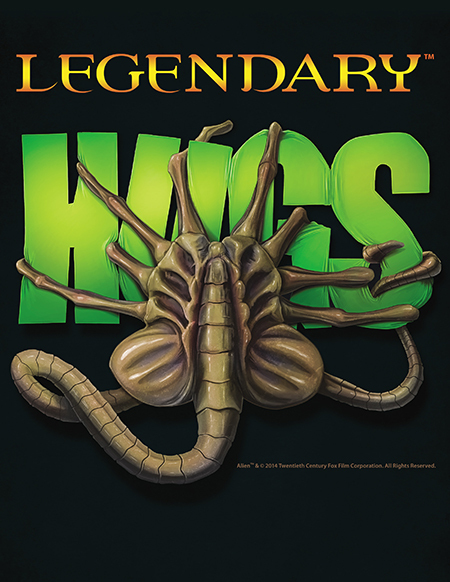 The new Legendary™ Encounters: An Alien™ Deck Building Game will be available for purchase right at the show! 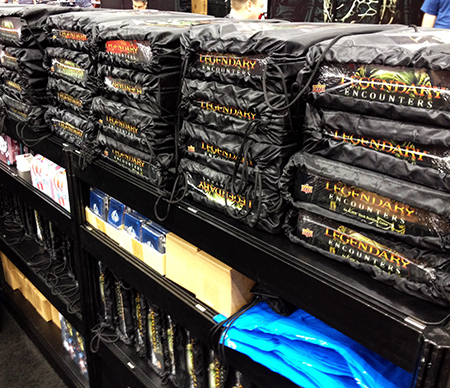 The Legendary Hugs slingpacks are sure to be a big hit at Gen Con! Upper Deck will have a variety of Hello Kitty items at show special pricing. And any fans who purchase the new Marvel Legendary Villains game can score a set of four playable promo cards! A variety of product will be available for fans to purchase at the show! Upper Deck will be hosting win-a-box tournaments at the booth from Thursday through Sunday. There will also be a free raffle each day as a way of saying thank you to our fans for 25 great years. Upper Deck will be offering up free birthday cake to fans at 12:00 p.m. on Saturday as we sing, “Happy Birthday” before passing out the delicious dish! On Friday fans will definitely want to check out the $10,000 Legendary tournament taking place from 10:00 a.m. – 6:00 p.m. Those who register will also earn four Gen Con exclusive promo cards! Come see who has what it takes to become legendary as Upper Deck offers up big bucks to the game’s best players. Beyond that, Upper Deck has a few surprises in store as well so you will definitely want to be in attendance to see everything the company has going down! Don’t miss out, we will see you in Indianapolis! 2018-19 Game Dated Moments Week 17 Cards are Now Available on Upper Deck e-Pack™!